Create something beautiful when you decorate your home or office with our expansive selection of laminate flooring in Charlottetown, PE. When you sit down with one of our design professionals, you quickly understand that they have your best interests at heart. They take the time to ask you the important questions about the interior you are decorating, so you are assured of finding the product that works best for you. Understanding the differences when it comes to laminate floors and luxury vinyl flooring is critical to the success of your next decorating project. Both are manufactured products that mimic the look and feel of traditional flooring materials like hardwood and tile. That is one of the advantages that come from working with our local team of flooring specialists. We provide you with the tremendous buying power of the Flooring Canada name, along with the personalized service you deserve. Along with the ease of maintenance that comes with this variety of flooring, you also get a series of guarantees and warranties depending on the particular rating of your flooring purchase. The Ultimate Confidence Guarantee is available with 4- and 5-Star rated floors. This means that we will replace the flooring you have purchased if you do not love it for any reason. We even include the costs of labor in this assurance. Review the rating of your particular flooring purchase, and learn more about the assurances that back your product. Get the most value from your flooring purchase when you take advantage of our selection of realistic laminate. These planks are crafted to look as great as hardwood, and they are easy to install without the need for nails and adhesives. Create a unique look for every room you are decorating and save time and money in the process. An active family can cause a great deal of wear and tear to any type of flooring, so it is important that you choose a product that is capable of maintaining its appearance for years to come. Our selection of laminates includes just about every pattern and hue that you can imagine. This gives you a remarkable level of flexibility during the design process, and it allows you to increase the appeal of your home without needless expense and delay. Our laminate flooring installation process is a smart choice for any homeowner. Take advantage of this opportunity to modernize your home or office and make the call to our showroom today. Schedule a meeting with one of our design professionals, and learn about how our selection of laminate tiles and planks can make your interior something to behold. 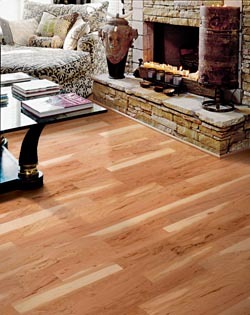 Contact us today for laminate flooring that makes your home look as good as new. We proudly serve customers in Charlottetown, Summerside, Souris, Kellys Cross, and Brackley, Prince Edward Island.